I have mixed feelings about Costa Rica. It’s hard to put my finger on, but it felt to me vaguely like the geographical equivalent of the sort of person who’s at ease talking about absolutely anything, comfortably keeping a basically enjoyable conversation going for hours on end, but who, when you think about it, never actually had anything really to say. Partly I think I’ve just become crotchety at the present of large numbers of other tourists around me – viz my hatred of tour groups generally, my tendency to prefer avoiding attractions that sound only OK but are likely to have great flocks of other people in attendance, etc. But in Costa Rica’s case, there was something more specific than that. And so for all that criticism, it’s good to see travellers from the States getting out and about. That way I can meet them and make my stupid jokes straight to their face. 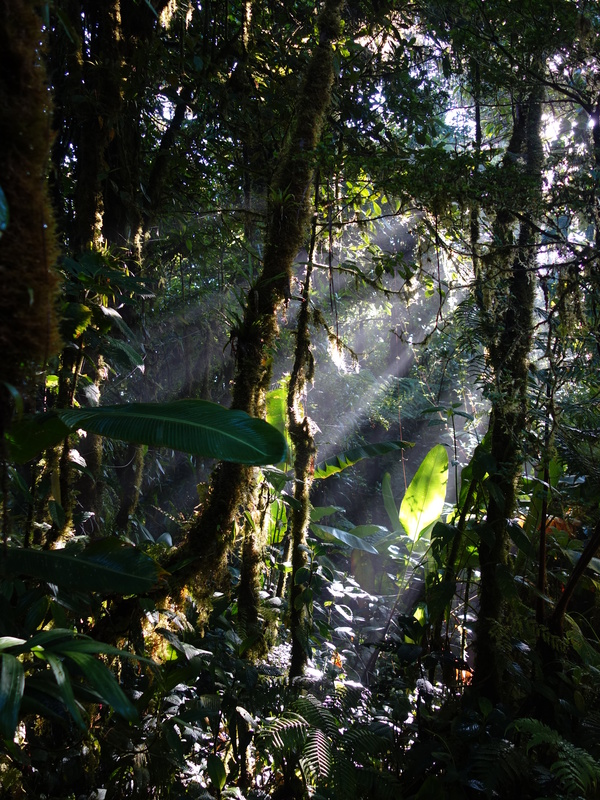 But the problem is that precisely because Costa Rica is safe and has beautiful scenery, and obviously because it’s close to the US and that safety feature puts it in stark contrast to the vast majority of other countries nearby… when the less-travelled breed of Americans do head overseas, they all seem to pick the one spot. Again, that’s not something I can legitimately complain about: great to see people getting out and travelling, and who am I to complain if they all agree on a destination? What it does mean, though, is that, demand and supply working as they do, Costa Rica is set up to cater for people not like me. For people who want package tours. For people with a slightly less adventurous definition of ‘adventure’ activities; with a less extreme definition of ‘extreme’ sports. The tourism industry in Costa Rica is incredibly well developed. The tour companies there are reputable, have great customer service, and have clearly invested a lot of effort in getting to know their customers and what they want. But their customers are typically remarkably homogenous, and I’m an outlier for that particular data set. So I guess a lot of it just didn’t excite me the way it did the other people on our tours. 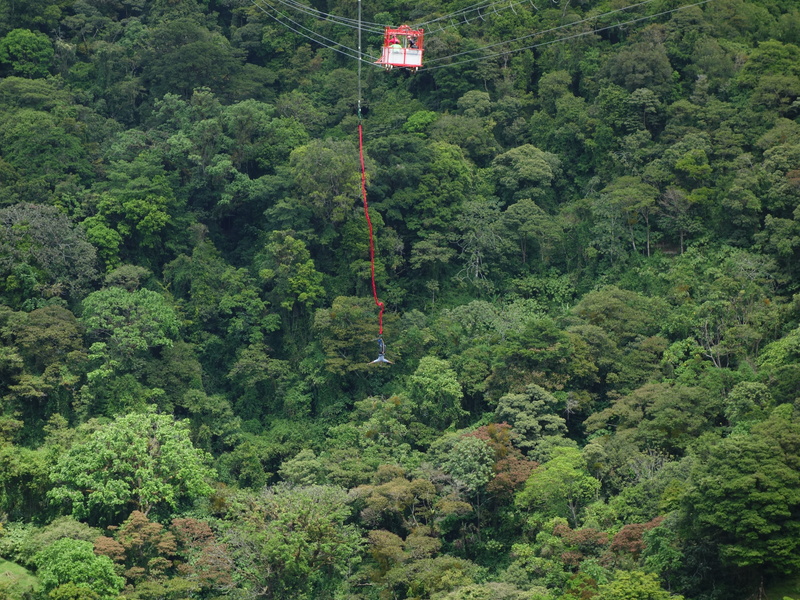 I enjoyed our ziplining trip as well. 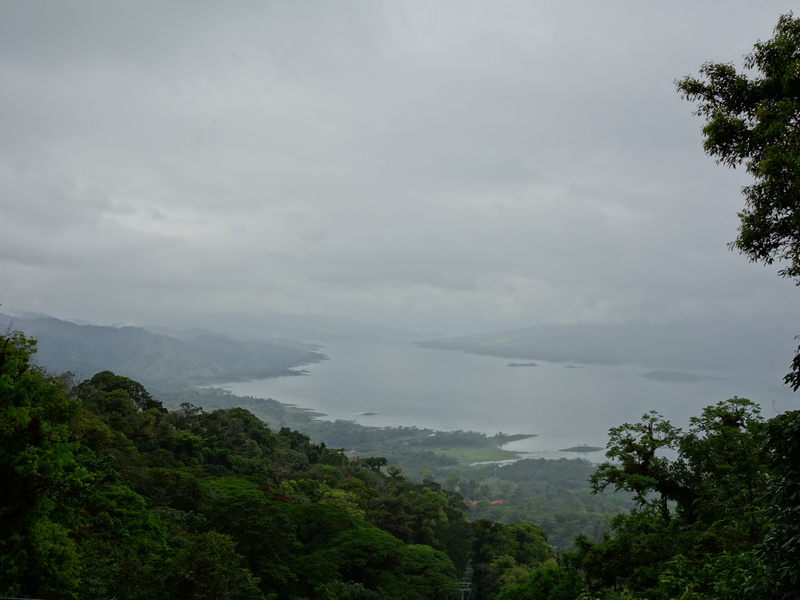 But the best part of it was the views of Lake Arenal that you get as you’re coasting along the longer lines. The actual thrill of the activity itself for me just evidently wasn’t as exhilarating as for most of the rest of the group, who excitedly described it as the most amazing and terrifying thing they’d ever done in their lives. I had fun with the bungee-jumping as well (I’d never done it before, and it’s been on the list to tick off for a while) – but I got the distinct impression that that too was supposed to be a life-affirming, self-actualising experience, which I’m afraid just doesn’t describe the slot that it fits into in my life. Entertaining, yes. A pivotal life moment? No. 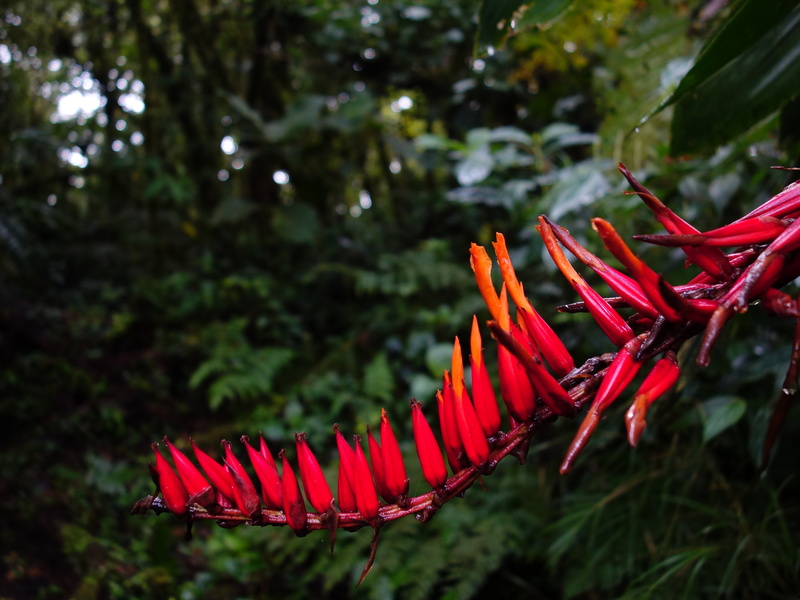 We spent most of a day hiking every single one of the trails in Monteverde Cloud Forest, and that was fantastic. But part of the thing that made that hike great for us was the absence of pretty much anyone else bothering to walk the longer, more distant trails. 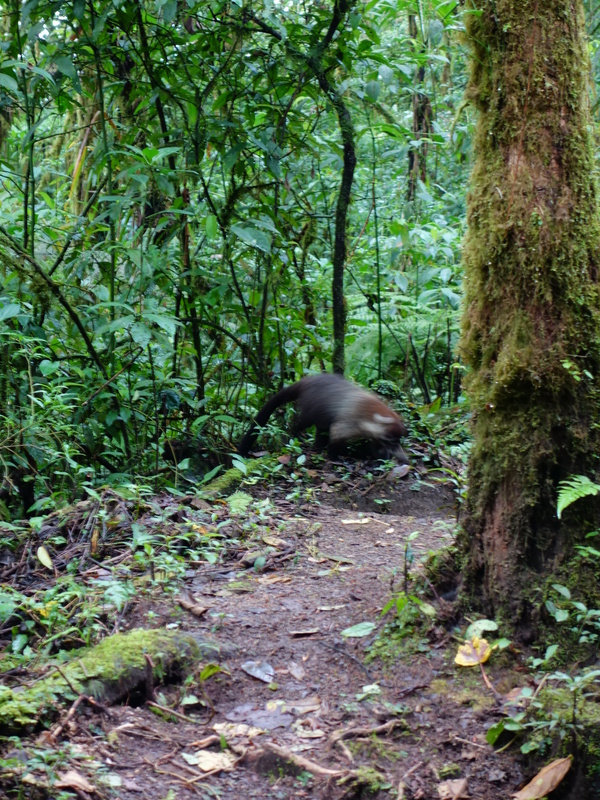 While the guided night walk that we did in Monteverde was nice as well, it lacked the same natural feel when we were surrounded by the murmur not so much of wildlife but of other tourists, some of whom you’d think had never seen any sort of mammal in a tree before. So in the end, Costa Rica was nice. It just wasn’t as great for me as for its intended audience. Maybe it’s best left at that. After all, it was always just a pit-stop because in the bizarre logic of cheap airline flights it fitted nicely between our trips to the Galápagos and to Machu Picchu. And I guess it was always going to suffer by comparison. 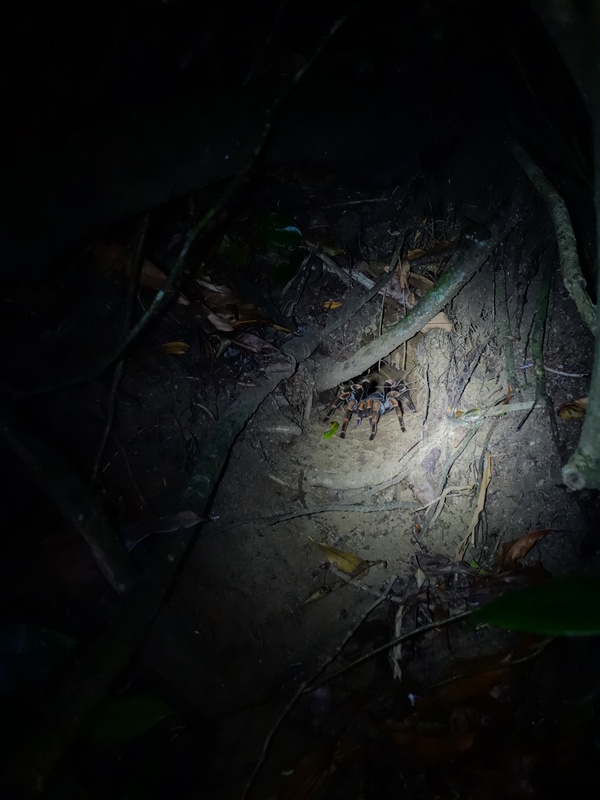 This entry was posted in Travel and tagged costa rica by Sam Roberton. Bookmark the permalink.